Support With Stays - SHIPS FREE! 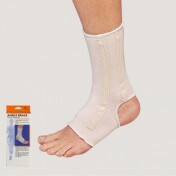 Ankle Brace With Stays, manufactured by Champion, is a flexible ankle stabilizer that provides more support than an elastic anklet, but does not restrict the joint's motion altogether as some brace type supports. The design of the Ankle Brace With Stays allows it work in conjunction with the fabric to deliver compression that supports normal, athletic activity. 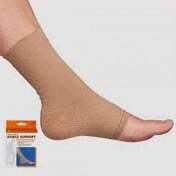 In addition to providing compression, this ankle stabilizer offers medial and lateral support stays that offer enhanced stabilization and support compared to other ankle braces. Featuring an open heel design, the Ankle Brace With Stays prevents irritation and binding over the top of the foot. This design, additionally, allows you to easily slip into shoes while wearing this ankle stabilizer without it "bunching." 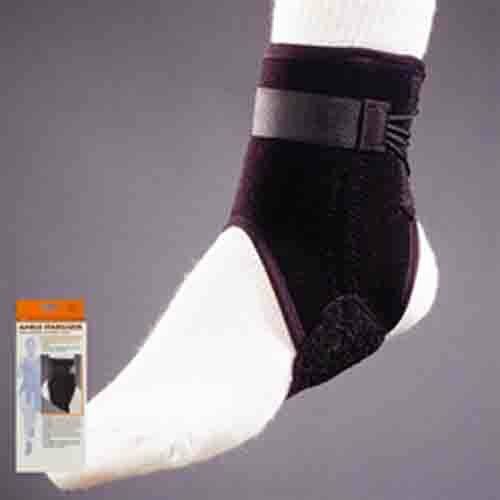 Ankle Brace With Stays also integrates a fully adjustably strapping system that allows for the quick and easy application of this product. You can customize the fit, and it will not stretch during exercise. 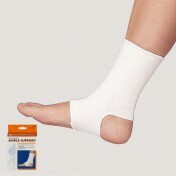 To check out other ankle supports to see other supportive options, look at this ankle support and flexible ankle support. Adjustable straps to customize fit. Open heel design to prevent bunching and irritation. Proper alignment during normal activity. Stays provide medial and lateral support. 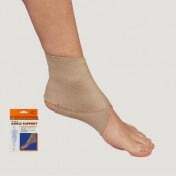 Application: To provide medial and lateral ankle support. These did to offer support in the area in which I needed it. Unfortunately, they are not returnable, so I am out the money. Since the company informed me that none of their items are returnable, I will no longer be doing business with them.